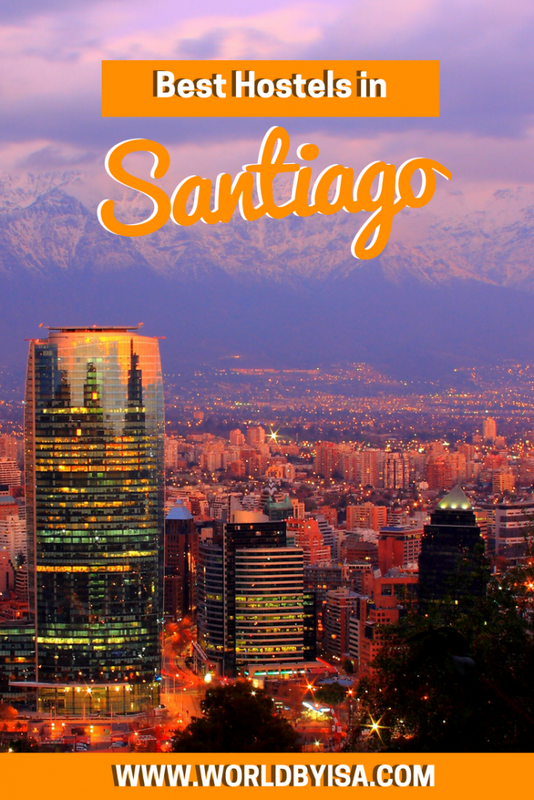 Santiago is the capital of Chile and the largest metropolis of South America which is located in the river basin, surrounded by mountains. 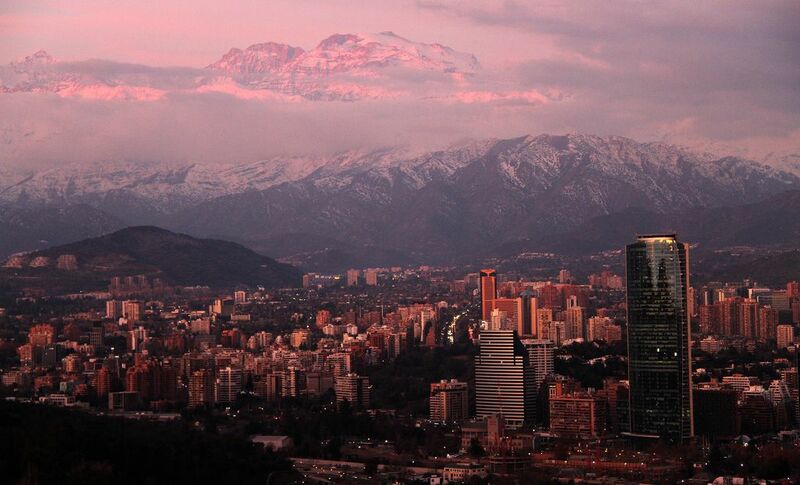 Santiago is, first of all, a city with a rich history. Therefore, the main attractions include rare artifacts, colonial buildings and places of recent historical events. But it is also a modern megalopolis, which develops rapidly, while the miracles still happen here. The cultural life of Santiago also has one significant advantage. In many Latin American capitals, the entrance to museums is very cheap, but in Santiago de Chile it is even cheaper, making the visitors happy. The county implements a program called Dibam (direccion de bibliotecas, archivos y museos), which protects the heritage of Chile. The cultural institutions listed on this program offer free admission for all visitors. There are not so many tourist accommodations in the capital, and there are only a few really good hotels. But recently more and more inexpensive hostels are opening in the city, and this cannot but inspire backpackers! 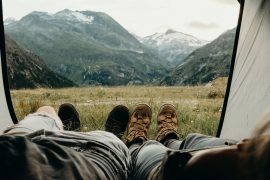 We bring / 6 best hostels for backpackers in Santiago to your attention! This hostel is located 300 meters from the bohemian quarter of Lastarria in a renovated building. Due to its low price, it has gained popularity among tourists. The hostel has both dormitory rooms with a shared bathroom and rooms with a private bathroom. Guests are provided with personal lockers that are closed. The hostel has a library, a common living room, free Wi-Fi and a shared kitchen. The visitors may also use the accessories for a barbecue. Every day, guests are served a continental breakfast with fresh juice and jam. If your goal is to get to historical places without using public transport, then Hostel Merced 88 is an excellent choice. Thanks to its location, the visitors of this hostel can walk to historical places on foot. It is close to the downtown, Barrio Belavista, and Barrio Lastarria. Also nearby are supermarkets, bars, fast food outlets, discos, and restaurants. The hostel has 17 rooms (non-smoking). The hostel provides rooms such as 4-bed female Dorm, 8-bed mixed Dorm, 10-bed mixed Dorm and Double Room. Each room has a flat-screen TV and a trouser press, a dining area, a relaxation area and hi-fi equipment. Moreover, each room has its own bathroom. The front desk staff speaks Spanish and English and is always ready to help their guests at any time. Guests can enjoy an American breakfast every morning at the hostel. Merced 88 is an excellent option for travelers because of its novelty and good location. This hostel is perfect for those who are interested not only in sightseeing but also in shopping. Casa Viva is just 15 km from two famous shopping centers: Buenaventura and San Ignacio. Near the hostel, there are local attractions which tourists can reach on foot such as Patio Bellavista, Forest Park, cable car, Chilean National Museum of Fine Arts. Tthe commercial complex Costanera Center is at a distance of 3.5 km from the hostel. The rooms have a kettle, coffee machine, and an oven. Some rooms have balconies. The hostel has free Wi-Fi, a terrace, a garden and a shared lounge. Every morning a buffet is served for the guests of the hostel. The visitors to this hostel mark it as an excellent accommodation option for couples. The hostel is located near the shopping center Patio Bellavista, the shopping center Costanera, Rizal Park, the cable car and 15 km from the sale centers: Buenaventura and San Ignacio. Tourists are given free Wi-Fi and can rest on the terrace. In some rooms, there is a kitchen equipped with a microwave, a toaster, and a fridge. Guests can rent a bicycle or play table tennis. A continental breakfast or buffet breakfast is served for the guests of the hostel. The front desk staff speaks 4 languages: French, Italian, English, and Spanish. Rado Boutique Hostel captures with its panoramic view of the city and design in the style of pop art and rock music. The hostel provides its visitors with free Wi-Fi and daily breakfast. The hostel has both shared and private rooms, with a shared or private bathroom. Some rooms have air conditioning and a TV with satellite channels. The Bellavista Patio shopping center is only 30 meters away. The hostel is 300 meters from Baquedano Metro Station, and Pablo Neruda’s La Chascona House Museum is 800 meters away. 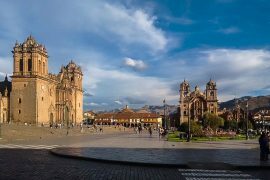 In just 20 minutes walking distance, tourists can reach the park on the hill of Santa Lucia and the Museum of Fine Arts. This hostel is located in the fashionable area of the island of Providencia, 3 blocks from the metro station Santa Isabel. There is free Wi-Fi, a communal lounge and a lovely garden around the entire hostel. There are rooms with a shared or private bathroom, and in some rooms, there is a fan. The view from the rooms opens onto the garden or the mountains. Bed linen and towels are included in the price. There is a possibility of accommodation with pets for an additional fee. A complimentary breakfast is served in the morning. Residents of the hostel can choose a continental, vegetarian or gluten-free breakfast. Nearby attractions include Costanera Center, Alto Las Condes, and Palacio de La Moneda.